This summer, our Surrey office experienced an unexpected transition: we said a bittersweet goodbye to the owners of Clover Hills Dental, Dr. Aman Bhullar and Dr. Misty Henne, as they embarked on a new adventure to California with their family. We want to thank those of you we saw over the summer for your patience as we navigated through this transition. 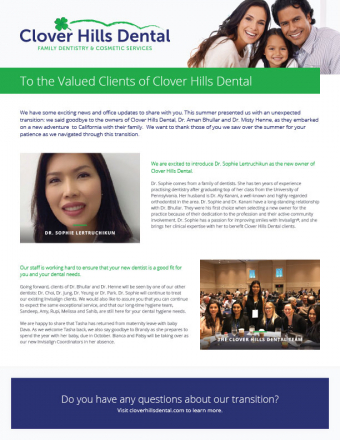 We're also pleased to welcome Dr. Sophie Lertruchikun as the new owner of Clover Hills Dental! 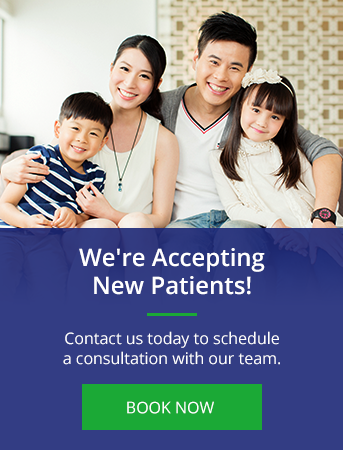 Download our newsletter below for more details, and other news and updates from our office.